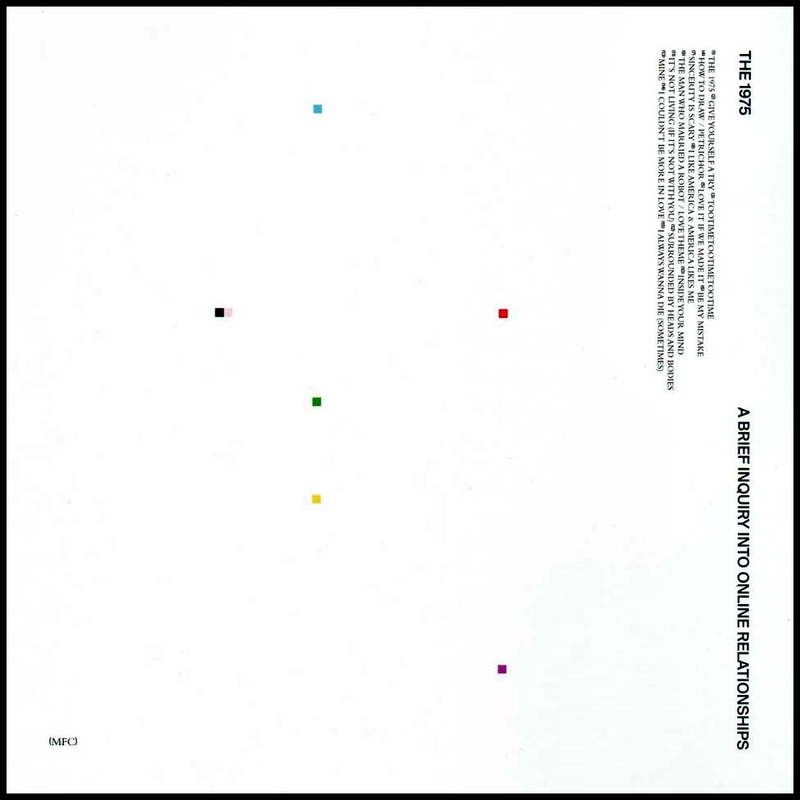 The 1975’s “A Brief Inquiry into Online Relationships” has been the only thing I have listened to since its release Friday. I have been trying to meticulously dissect these lyrics, which have such powerful intentions behind them, touching on topics such as modern politics, relationships, addiction and the overall experience of this generation. Listeners will experience every range of music style on this record, from pop and jazz to Siri-narrated spoken word. Lead vocalist Matthew “Matty” Healy utilizes his gift and gives his audience a deep look into his life and perception of the world. “Love if We Made it” is a song where the meaning is not hidden—you know it is political. He sings about tragedies, which have now become normalized in society. With lyrics such as “suffocate the black man,” in reference to the death of Eric Garner at the hands of police, and “a beach of drowning three-year-olds,” referencing the death of Alan Kurdi, the song states only the facts, which allows the listener to form their own opinions. Straying away from politics for the remainder of the album, Healy begins to touch on other issues. “It’s Not Living (If It’s Not With You)” is a joyous pop song in which he sings about his past heroin addiction, but in a clever and refreshing way. “All I do is sit and think about you/If I knew what you’d do/Collapse my veins wearing beautiful shoes/It’s not living if it’s not with you.” In no way is Healy glorifying addiction, but simply being honest with the listener, showing the true life of an addict throughout the song. Nine out of 10 times, when a song addresses struggling with addiction, it will be the most vulnerable song on the record. However, this is not the case with this album. “I Always Wanna Die (Sometimes)” is the most emotionally vulnerable song on the album. Relating to so many people with these tear-jerking lyrics, the song starts off with a sense of regret and emptiness. “Your memories are sceneries for things you said/But never really meant.” These lyrics relate to the first line when the character is on a train—Healy talks about how, instead of enjoying the scenery outside the train, memories of the past run through his head—situations from the past when he did not say the right thing or should have said something but did not. He relates to the audience in this way knowing everyone has regret and it is a feeling all too common to people. The chorus—“I always wanna die, sometimes”—despite the dark front it might put up, is reviving in a sense. When someone is full of regret and is depressed, they feel their life is meaningless, but Healy assures this feeling is only temporary because there are good times and those moments are worth living for. Emotional vulnerability seems to be the major theme seen in this album—a theme also very present in the breathtaking piece “Be My Mistake.” A song about the loneliness Healy faces while on tour, he sings about how much he is longing for someone, regardless if he knows he should not be with this woman. Healy makes very clear the girl in this song is not someone he cares about, rather someone to help cope with the pain of him missing the one he loves. “The smell of your hair/Remind me of her feet.” This verse is referencing the Bible story (Luke 7:36-50), in which the sinful woman washes Jesus’ feet and then dries them with her hair. He uses this to symbolize how the women he is with may be lustfully attractive, but the woman he loves is heavenly and far superior. Spoken word is something we have not seen Healy do before this record, but with everything else going on in the album, why not? The song “I Couldn’t Be More In Love” is something special. As far as I can remember, this is the first true love song Healy has written, with no dark turns or surprise lyrics—just a good old-fashioned “dancing at your wedding” song. “Mine” is a piece of art, both lyrically and instrumentally. This jazz number reflects mockingly on the era we’re in. Talking about how marriage is not as necessary now as it used to be and how it is OK because marriage is not for everyone, Healy addresses this topic throughout the song. Healy takes the listener on a journey throughout this whole record, opening himself up and letting his audience inside his life. For that, I say thank you. He did not have to become as vulnerable as he did, but I believe he knows his music resonates with people and he is not the only person with these struggles. Healy is a selfless human being, and I am forever grateful. All I have to say is congrats on creating “A Brief Inquiry Into Online Relationships”—truly the Album of the Century.